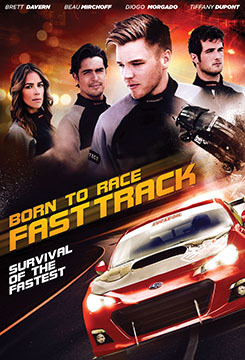 Born To Race: Fast Track, the latest movie in Anchor Bay Entertainment’s Born To Race franchise, will be released this summer. The movie stars Brett Davern and Beau Mirchoff, both of MTV’s Awkward. The pair star as small-town racing rivals Danny and Jake. The pair ends up being partnered together after summer scholarship to a top tier racing school. Danny also finds himself in a relationship with love interest played by Tiffany DuPont (Greek). Veteran actor Corben Bernsen (Psych, L.A. Law, Major League) co-stars along with Diogo Morgado (The Messenger, The Bible, Son of God), Grant Show (Devious Maids, Melrose Place, Private Practice, Big Love), and Sharon Lawrence (Rizzoli & Isles). Director Alex Ranarivelo returns to helm this latest installment of the Born To Race franchise. He also directed the franchise’s previous film. He is joined by screenwriter Steve Sarno, who also crafted the script for the franchise’s previous film, and producer Ali Afshar. Afshar also produced the previous Born to Race film. He is also a professional race car driver. 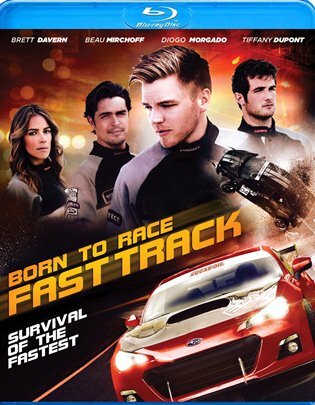 Born To Race: Fast Track will be available for digital download via iTunes August 29th. It will be available on DVD, Blu-ray and OnDemand Tuesday, September 9th. The DVD will retail for SRP of $22.98 while the Blu-ray will retail for SRP of $26.99. More information on Born to Race: Fast Track is available online via Facebook and Twitter at http://www.facebook.com/BornToRaceMovie and http://twitter.com/borntoracemovie. More information on this and other releases from Anchor Bay Entertainment is available online at http://www.facebook.com/AnchorBay, http://www.anchorbayent.com and http://twitter.com/Anchor_Bay. To keep up with the latest sports and entertainment news and reviews, go online to http://www.facebook.com/philspicks and “Like” it. Fans can always keep up with the latest sports and entertainment news and reviews in the Phil’s Picks blog at https://philspicks.wordpress.com.